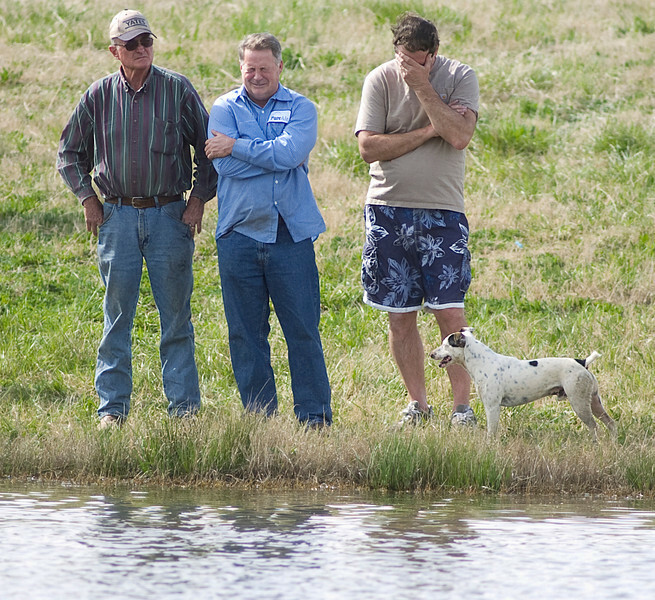 Randall Willingham, center, cries while divers search for his son, John Arlon Willingham, in a pond on Johnson Rd. Friday, April 2, 2010. John Willingham's body was found shortly before 5 p.m.